On 02.03.2019 we are going to held a memorial event to honor Kaicho Jon Bluming . We meet on saturday 02.03.2019 in our academy in Århus / Denmark. 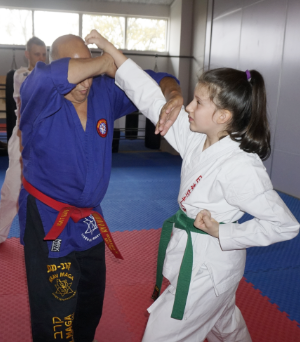 Everybody is welcome to take part in 101 fights in 101 minutes – all round fighting and traditional Kumite. After the event we are going to make a big party to celebrate Kaicho Raffi Livens 70. birthday. 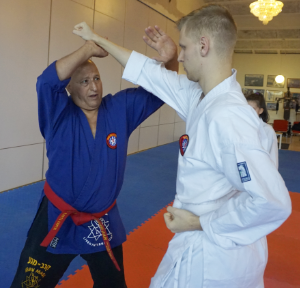 You are welcome to join an exiting Karate event in Århus – the smallest big town in the world! We like to invite you to our next seminar in Denmark. Please contact us when you are interested to take part. It is possible to arrive already on friday and join our normal training training. If you want to stay overnight in the dojo please inform us. 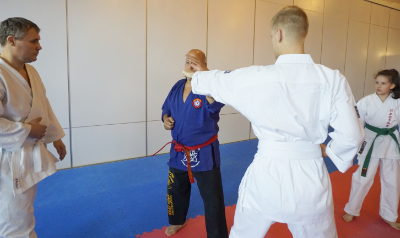 At 11.30 we are going to start a weekend seminar in our main Dojo in Århus Denmark! We are locking forward to it.